If you’re as fascinated by genealogy research as I am, you may have started looking for more information on your immigrant ancestors. If you have ancestors who came to the U.S. through Ellis Island, you’re in luck. Ellis Island offers a wonderful online search engine where you can find and view passenger records, ships’ manifests and even photos of the ships on which your immigrant family members traveled. For more information on Ellis Island’s history, check out the documentary on Amazon Prime called Remembering Ellis Island. It’s an older film, narrated by the late Telly Savalas, but still a moving memorial of the immigrants who came through Ellis Island. Why bother with Ellis Island records? 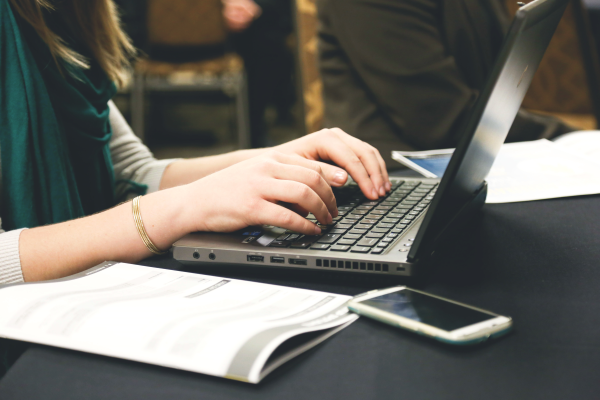 They can provide intriguing and useful information for genealogy researchers. For example, you can find original first names and surnames used on arrival in the U.S. Contrary to popular myth, Ellis Island workers didn’t change immigrants’ names. Ellis Island employed workers who spoke dozens of languages. They also used the original ships’ manifests to document people’s names. Immigrants frequently Americanized their own last names and sometimes first names, too. Josef may become Joseph while Stanislaw becomes Stanley. 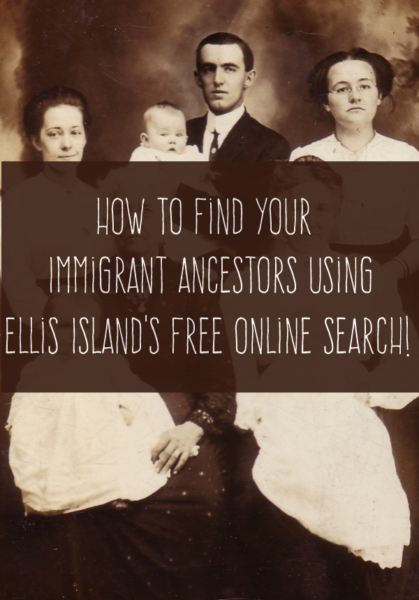 Knowing the original spelling of last names and first names can help quite a bit with researching ancestors’ histories before they arrived in the U.S.
Ellis Island’s records can also tell you where your ancestors came from, which may surprise you. For example, some of my Polish ancestors came from Austria and some came from Russia. That helps narrow down my research. Areas of modern-day Poland were part of Russia before the World Wars, and the part of the Austrian Empire where others of my ancestors hailed from (Galicia) is now Polish and Ukrainian territory. My ancestors on that side of the family were ethnic Poles who spoke Polish at home, but their homeland wasn’t called Poland when they left. Ready to find your immigrant ancestors who passed through Ellis Island? Visit the Ellis Island passenger research online directory to begin. Enter the first and last name and hit Results. Hint: For the first name, try entering the first few letters. The names you’re familiar with might have been shortened and Americanized later, so you may not find your ancestor by typing the name you think he or she went by. 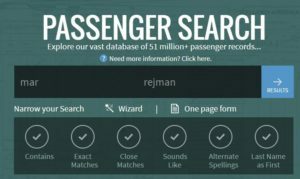 After clicking the Results button, you should see a list of passengers matching your search criteria. 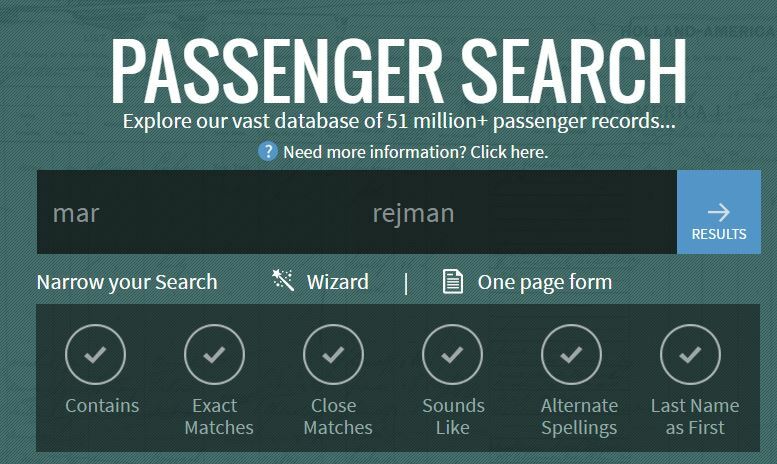 Look for your ancestor by seeking out someone who arrived at around the time you think he or she should have arrived in the U.S.
To the right of each name, you’ll see three options – view passenger record, view a photo of the ship and view ship’s manifest. If you click any of these things, you’ll need to set up a free Ellis Island account and accept their terms and conditions. Once you’ve done this, you can view the passenger record, which includes the person’s age. The age of the passenger will help you further in figuring out whether this is the right person. Unfortunately, you’ll encounter the same problem with Ellis Island’s online directory as you will with any other genealogy research tool. It can be impossible to know for sure if you have the right person without having other verifying information. One way to get an idea of where your ancestors came from is through a genealogy DNA test. Some ancestors are easier to find than others. My Polish grandfather was not at all hard to find. I knew he was a baby and came over with both parents. It was simple to locate a family with the right names, two parents and a baby, who arrived at the time when my grandfather would have been an infant. I knew my great grandparents’ ages, too, as well as some various possible spellings of their last name, so I was sure I found the right passengers. Finding my dad’s other set of Polish grandparents wasn’t quite as easy. The first and last names are more common, with various possible spellings, and it looks like the father came over by himself and then his wife and children later. I’m pretty sure I found my great grandmother and the two children she had at the time (two more children came later, including my grandmother). The wife is listed as Maria, though she went by Mary in the U.S. Her sons are listed as Stanislaw and Stefan (rather than Stanley and Stephen). Keep in mind that not all immigrants came through Ellis Island during the late 1800s and early 1900s. It’s the best known immigrant entry point of the era, but there were other possible ports of entry. Ellis Island’s site lets you buy physical copies of your ancestors’ passenger records and/or ships’ manifests. 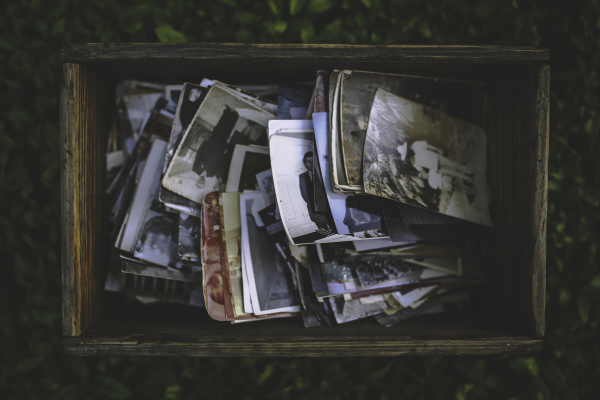 They used to let you download them for free, but now, the best you can do is either save them to your Ellis Island profile for viewing at any time or use the Windows Snipping Tool to save screenshots for your genealogy records. If you buy copies of Ellis Island documents such as passenger records and ships’ manifests, you support a good cause – maintenance and preservation of the Statue of Liberty and Ellis Island, plus maintaining the American Family Immigration History Center, which provides the free Internet passenger search and viewing.